We found 10 episodes of Thinking Religion with the tag “jesus”. Dr. Thomas Whitley and Rev. 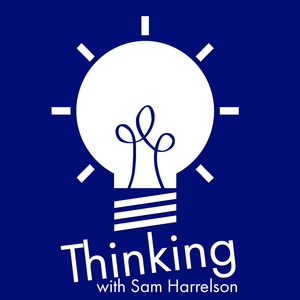 Sam Harrelson talk about phone problems and promises, Thomas' new home, and the finale of the First Thinking Religion Bible Bracket Challenge Extravaganza. Dr. Thomas Whitley and Rev. Sam Harrelson compare their phones' home screens, discuss the relevance of Facebook to political campaigns, and continue the very contentious Bible Bracket Challenge Elite 8 Round to decide the Final Four. It's on. Dr. Thomas Whitley and Rev. Sam Harrelson discuss new iPhones, playing the expectations game, and how mobile devices have transformed learning and worshipping. Then, they launch into the "Sweet 16" of the Bible Brackets Challenge. Sorry, Esther.